Part of the Mercedes ampitheater is seen in 2016 during construction. MERCEDES — The concrete and metal amphitheater project remains unfinished and yet to be used for a city function. That could change soon with upgrades planned to breathe life into the space with hopes to eventually host community events in the city’s public, open air venue located east of the civic center. Sigler, Winston, Greenwood & Associates, one of the engineering firms contracted by the city, will add landscaping, lighting and drainage. A completion date for the additional work on the structure has not been set. The amphitheater is not yet compliant with the Americans with Disabilities Act and cannot be used for city functions, according to Commissioner Ruben “Chano” Guajardo. Commissioners may look to using hotel-motel tax dollars to pay for the improvements. Once upgrades and compliance requirements are met, the city plans on possibly hosting “Little Nashville,” a monthly music and arts community event, at the outdoor theater and city officials may look at also bringing in a farmers market and movie night. 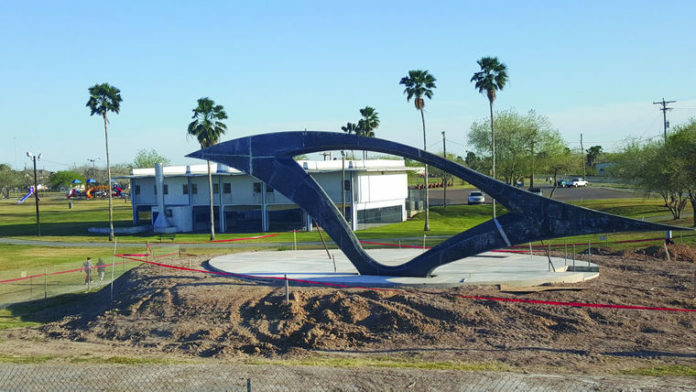 The nearly three-year-long delay was due in part to construction hiccups, according to interim City Manager Sergio Zavala. Pietra Construction completed the amphitheater in mid-2017 and the city’s library café projects for $302,400, the Valley Morning Star previously reported. Attorneys representing the city and Pietra Construction entered into mediation in order to come to an agreement in late 2017 over issues concerning the construction. “ We agreed intelligently to save tax dollars and to save litigation costs,” said Juan Molina, the city attorney. The city paid Pietra Construction in full for the work, according to Molina. “ Because of the way it’s strategically located … I think it’s a good investment for the community, and just another reason for people to want to come and visit Mercedes,” he said. Zavala this week met with the engineer to move forward with the proposed upgrades which will be presented to the commission. Still, there’s no set deadline for a city event at the amphitheater project and the total cost of the entirety of the project is yet to be determined until the engineering firm moves forward with work. “We’re very anxious to get it done, getting it improved (and) getting it finalized,” Zavala said. This story was updated to clarify that the Mercedes amphitheater project remains unfinished.